In the past, women’s looks have been held to a higher aging standard then men. However, times are changing, and men are now expected to keep up on their appearance. Because of this, more men are turning to plastic surgery and noninvasive procedures to turn back the hands of time. 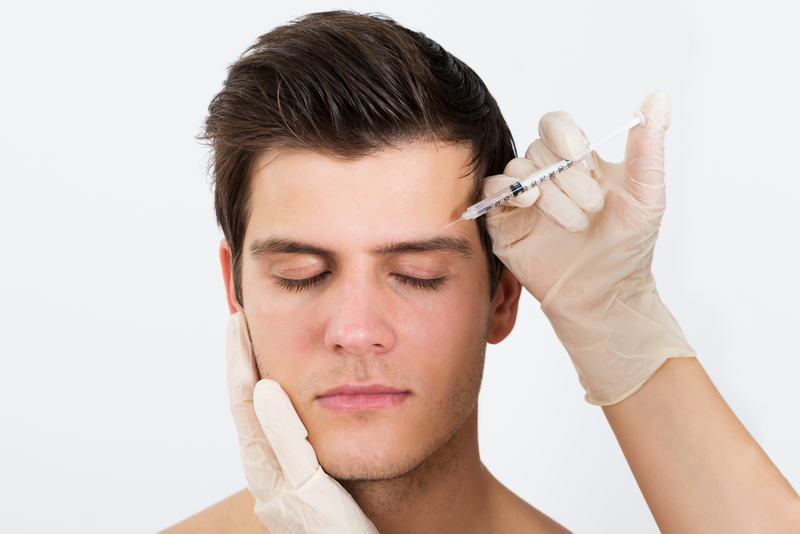 Botox for men, also known as “Brotox”, is one of the most popular treatments for men to date. The Botox treatment for men is done just as any other Botox treatment; the Botox will be injected using a very fine needle. Treatment is quick, usually only lasting between 10-15 minutes. Plus, there is no downtime, so men can return to work or their everyday tasks right away. How Men Can Benefit from “Brotox”? Many men nowadays are getting Botox treatments to help them look and feel better, which, in turn, can positively impact their work and social lives. Many men are feeling increasingly pressured to maintain a more youthful appearance in a highly competitive job market. There is also less of a negative stigma associated with cosmetic procedures, so men feel more comfortable receiving treatments. In fact, according to ASPS, Botox was the number one minimally-invasive procedure in 2016! Men who are interested in smoothing lines and wrinkles for a more youthful appearance can turn to Botox in Scottsdale. Our specialist injectors will work with you to create an individualized treatment plan. Call MDSkin® today at 480-696-6670 to learn more!